Acclaimed as one of the biggest film industries of the world, Bollywood produces over 1000 films a year. In recent times, multiple Indian films have created waves globally and the box office success of these films is testimony of the same. Hence in the wake of acknowledging and protecting Indian film fraternity's contribution towards the nation economically, leading filmmakers and producers Ritesh Sidhwani, Rajkumar Hirani, Siddharth Roy Kapur, Aanand L Rai, and Mahaveer Jain along with Aamir Khan who was the only actor at the meeting) flew down to Delhi to meet India’s Prime Minister Narendra Modi on Tuesday afternoon. 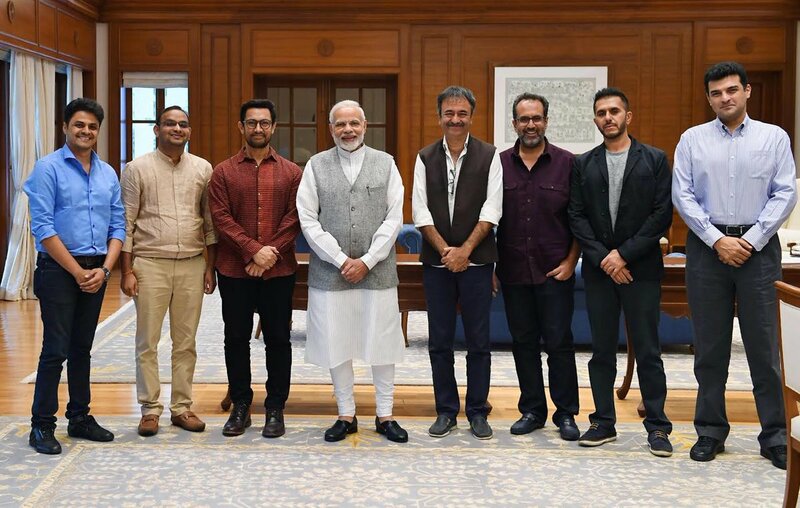 The filmmakers and actor Aamir Khan came together a night before (Monday night) to discuss the agenda for the meeting, met the Prime Minister on Tuesday and returned on Wednesday morning after an extremely positive meeting. That's really a social service ..not like distributing crores from your billions of incomes and enjoying the lavish lifestyle ...speak for the society mahn if u r really concerned about the people.